Joko Anwar is already an established filmmaker, both in his country, and internationally. He started his career in cinema as a film critic, continued as a script writer, while his directorial debut came in 2005, with “Joni’s Promise”. His next two films “Kala” and “Forbidden Door”, received rave reviews from critics, and screened in festivals all over the world. 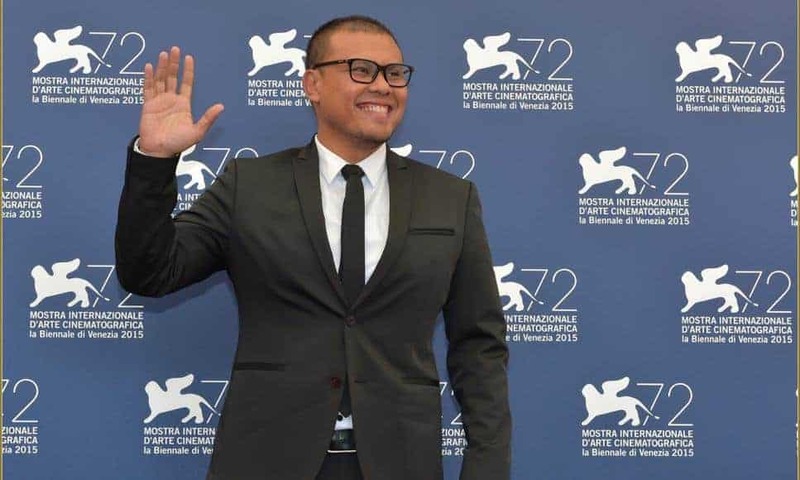 In 2012, he shot “Ritual” and in 2015 “Copy of my Mind” His latest film, “Satan’s Slaves” is now the highest grossing Indonesian horror film of all time, the highest grossing R-rated Indonesian film of all time and currently, in the Top 5 of Indonesian films of all time. Here are his top ten Indonesian films, in random order. A black comedy about love relationship between a photographer and a bank teller. A teacher finds gaffes in a village he visits. The village is religious yet peculiar since many villagers turn away from the religion at the same time. The story is about local warrior-freedom fighter Parmin (nicknamed Jaka Sembung) who fights against Dutch colonial army in West Java in the 19th century. During his struggle, he has to face hired warriors and pagan magician Kohar (S. Parya) who are Dutch operatives with supernatural powers. The film takes place in Indonesia in the early 1940s, covering the Japanese occupation and slightly before. Hasan (Deddy Sutomo) is raised a devout Muslim and, as he grows older, falls in love with Rukmini (Christine Hakim), an equally devout woman. However, he finds himself intrigued with the modern Kartini (Emmy Salim), whom he meets through his politically active friend Rusli (Kusno Sudjarwadi). He also meets the nihilistic Anwar (Farouk Afero). A wealthy family away from religion gets caught when the mother dies. The mother, Mawarti, abandoned a father named Munarto who cared only for business life, as well as a quiet boy named Tomi and a daughter named Rita who was addicted to the party, with them a servant named Pak Karto who was religiously and sickly. On the first night after Mawarti’s death, Tomi meets the mother despite not speaking. The next day, from the advice of his friend Tomi visited an astrologer who said that his whole family was in great danger and would kill them all. Then the fortune-teller advised him to strengthen himself with black magic. The DEVIL’S SWORD lies hidden in a secret cave inside Devils Mountain, everything evil will fight to the death for it… “For whoever possesses the sword, will rule the kingdom!” Four warriors attack the keeper of the mountain and try to force him to hand over the map that will lead them to the sword. The tortured keeper escapes and runs to MANDALA his master, who after hearing of the attempt, sets off on his own journey to save the DEVIL’S SWORD. He has many blood-curdling battles along the way, he is attacked by the evil crocodile men and encounters many fiendish traps set for intruders entering the mountain. At last MANDALA captures his prize – can he call upon the Gods and use the mystical sword against the raging warriors with their awesome magical power? Will he win the fight with the crocodile queen who craves the DEVIL’S SWORD at any cost? Bintang Kejora, an adventurer, is a drug seller who is boastful. He is blacklisted everywhere for being a fraud. One time he comes to a drought-stricken village, merely to see a girl he caught a glimpse of, sticking her head out of the window of a passing bus. Three students, Tommy, Rita, and Robert, and their guides head into the jungle to study primitive tribes separated from civilization. However, the students say the one tribe they visit isn’t primitive enough, and they want to find some really savages, and to locate the legendary cannibal tribe supposedly living in the area. Once upon a time, Jamal, a very poor man found a gigantic diamond by the river near his house. Is he ready to become rich?